If you're a Harry Potter fan you'll love this! I forgot how completely livid Umbridge makes me! Like literally fuming with rage. 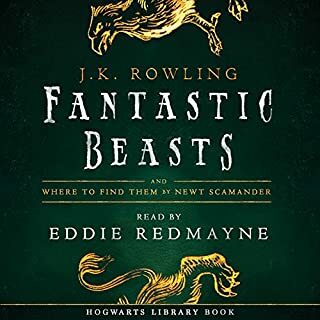 WARNING: Jim Dale does SUCH an amazing job of reading and telling a story and gets you so invested in it you may chuck your mobile device across the room in Umbridge-induced-anger. The author wrote an extraordinary series and Jim Dale does it justice by bringing the characters to life! Someone who knows suffering finds it comfort in being understood. Someone else shares exactly what I have felt! I’m not alone. But magic and love lives on, and the heart heals. You can't help getting wrapped up in Harry's emotional roller coaster. His hormones go INSANELY out of control. If you've gotten this far in the series, just know that Jim Dale outdoes himself in terms of performance for all the new characters and exceeds expectations for many of the old ones. Except for Luna's. Still, I couldn't even begin to imagine anyone other than Jim Dale doing this series. He now has a special place in my heart. I thought the narration was charming, funny, and effective. Having recently come back to the HP serirs series after a long hiatus, this book didn't blow me away. As always, Jo wrote another amazing story. Though Jim Dale started to pronounce the "t" at the end of Voldemort and it annoys me mildly, other than that, as always, he is a great narrator. I loved growing up with the Harry Potter books and loved hearing them again. They are a much read classic. for some weird reason, the chapters aren't showing up. 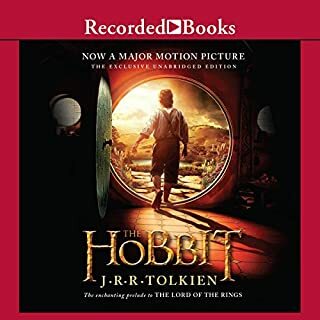 they seemed like work in other audio books. Jim Dale once again did an amazing job. I love the different voices. the Harry Potter books are truly amazing. so much more detail than the movies you can't wait to get to the next chapter. Jim Dale's narration is like returning home to friends and family after a long trip. Cosy and comforting. 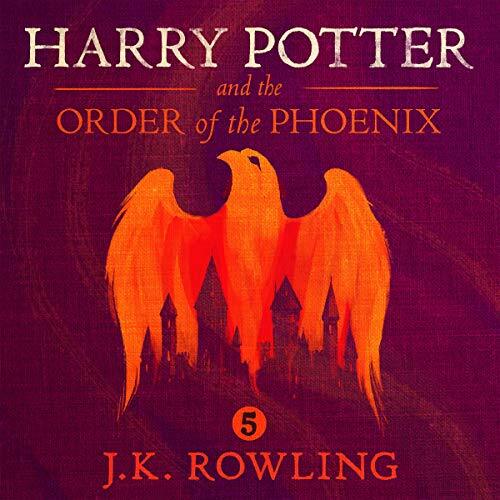 If you could sum up Harry Potter and the Order of the Phoenix, Book 5 in three words, what would they be? This volume forms the crux of the overall Harry Potter saga, as the tension builds inexorably from the beginning of the novel (when only Harry, alone of the magical community, has firsthand knowledge not only that the Dark Lord has risen but that he has begun attacks within the muggle community) and the end (when....NO SPOILERS, but let's just say the cat is out of the bag on the Voldemort question). In between, Harry must endure not only the scorn and ridicule of those whom he once counted as friends, not only ceaseless mockery in the corrupt press, not only official legal action against him brought by corrupt and ignorant ministry officials...but also actual physical torture at the hands of at least one secret Death Eater/sympathizer who has managed to infiltrate the Hogwarts faculty. What was one of the most memorable moments of Harry Potter and the Order of the Phoenix, Book 5? 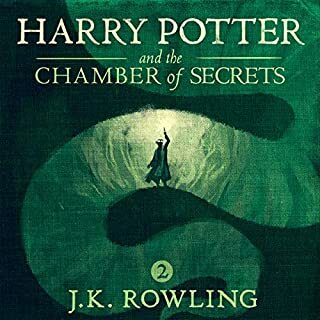 Among the most crucial scene in this, the pivotal Harry Potter volume, are the attack on Dudley, the revelation of a secret witch who has been masquerading as a Privet Drive Muggle for Harry's entire lifetime, Harry's trial at the Ministry (with the unforgettable surprise appearance of Dumbledore, to the astonishment of the entire courtroom), Snape's worst memory explored, Rita Skeeter finally getting (thanks to Hermione) the comeuppance she so richly deserves, the intense drama on the stairway when the evil Dolores Umbridge attempts to expel the foolish visionary Professor Trelawney, the unforgettable scene in which the Weasley twins announce a change in their educational plan (during one of the final and most intensely satisfying laugh-out-loud chapters you will ever read, "Career Advice), and the final dramatic confrontation between good and evil within the Ministry, bringing with it, as it does, a complete reversal of feeling about Harry within the magical community at large. This is a rollicking good read that stands alone as a superb novel for any age reader. What about Jim Dale’s performance did you like? 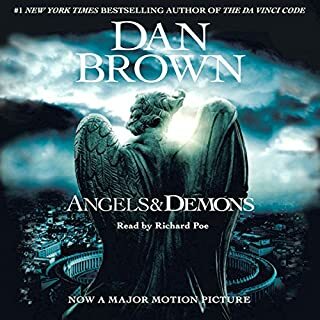 As usual, Jim Dale creates additional magic within an already magical story by bringing each character to life, with never a wrong note, a too-lengthy pause, or a mispronunciation. 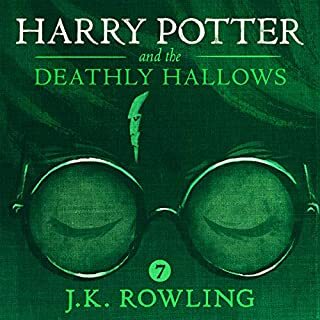 But in this volume his performances of the female characters are standouts--especially Umbridge, McGonagall, Mrs. Figg, Hermione, Trelawney, and the "journalist," Rita Skeeter. 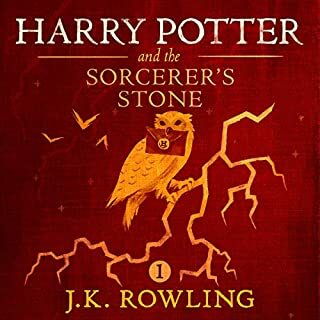 The fifth novel in the series, the longest, and by this time one that emerges into a fully-formed Potter Mania. The first Harry Potter move was released in November 2001 and went on to make nearly $1B US worldwide. This was the first book to be released AFTER the movies started to drop. From now on, it was going to be difficult to think of Harry Potter without seeing Daniel Radcliff. 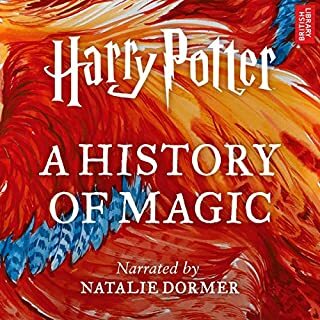 Part of the reason I love the audiobooks: Jim Dale's narration, and returning to them gives me an opportunity to return to the pre-movie version of Harry Potter where the books, character, and place exist in words and not pictures (well except now there are now illustrated versions of the Harry Potter series). Only complaint I have is that the reader started pronouncing Voldemort with a T, instead of the correct French pronunciation. He didn't do that in the first four books he read. Performance: For me, something about Jim Dale's performance missed the mark compared to the other books. I can't remember all the characters, but a few of the female characters didn't sound right (or how I would have thought in my head). Luna stands out the most, though. Whenever she came up, I would think it was another guy in the group until the description came in saying it was Luna speaking. Aside from that, the other characters (and there are plenty of characters) were really great! 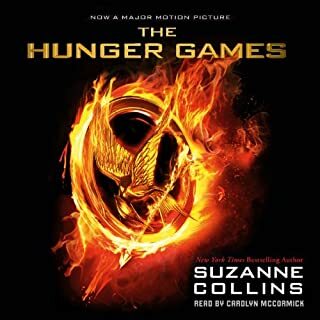 Overall: It's funny, this book was one of my least favorite originally (again, having only seen the movie previously - for some reason I just didn't think much of it), but now it's one of my favorites! I really feel it's an action-packed book, starting with the attack in the beginning and the duel towards the end. That said, there is also a lot in between that gives Order of the Phoenix so much magic! What a story, what a story, what a story. I'm commenting on this book but I'm talking about the series as a whole. 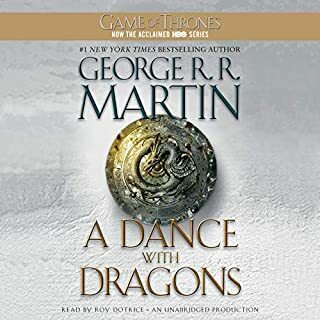 This will go down as one of the best series ever written in our time. A truly great example of the wanders the human brain can conceive. 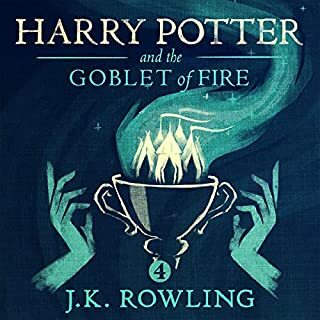 Hats off and applause for j.k. Rowling creating something so thorough, and awe inspiring that I wouldn't be surprised if at some point in our lives this series turns out to be based on something going on that we are not currently aware of. A truly magical story (no pun intended but now that I mention it, it might as well be) that every child should read. Inspiring courage in the face of ever growing danger, friendship when its easy to go your separate ways, and fighting to the death and beyond for what you believe in. 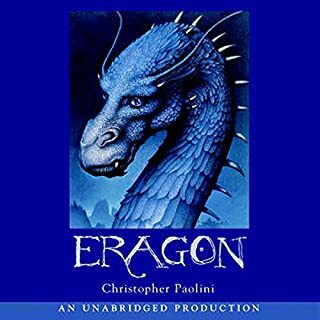 The movies pale in comparison to this work of art, and the story told is better suited to drawn in your mind as opposed to a world bound by physical limitations. Jim dale brings the story to life in the most uncompromising of ways. He reads with the right amount of enthusiasm and is so good representing different characters it's as if there's a whole cast. A model story(series as a whole) and model voice performance. 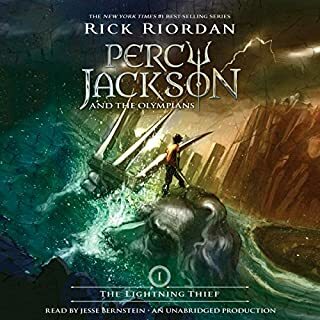 I will listen to this story again and again and again! 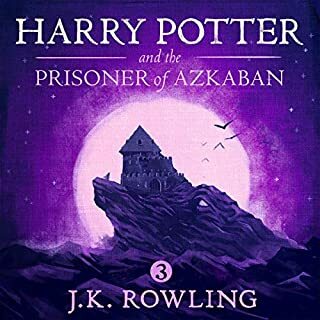 Thrilled Harry Potter is now Available on Audible! 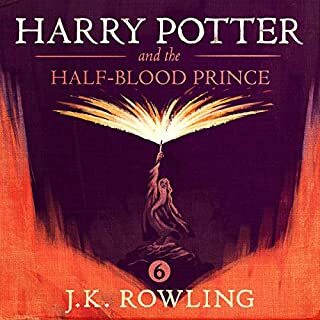 Harry Potter and the Order of the Phoenix is not my favorite book in the series, Harry can get quite angsty, but it is still delivers great entertainment and is one of the most necessary books in the series. Voldemort is back, clues to future events are hidden in the text, important events occur, important characters in the war are introduced, and key information is given. Harry's story moves on dramatically and he grows up significantly, turning from angry, angsty, troubled, and misunderstood kid, to the character he must become to take on what lies before him. As usual Jim Dale's narration is spot on. I'm always amazed at how he is able to create so many different characters and keep their voices consistent throughout the entire series. 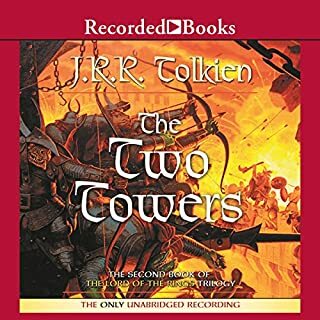 After listening to these books on CD for years, and then having to rip each of the disks to the computer to be able to listen to them digitally, I'm extremely excited to be able to listen to one of my favorite series's so easily. For a bit of comparison I pulled out those discs and found that this audiobook alone consisted of 23 separate discs consisting of 10 or more tracks each and cost $75 at the when it was first released. Jim Dale is the best narrator ever! easy to obsessively listen more than once. Jim Dale is the best narrator ever! his voices make it easy to know who is talking. 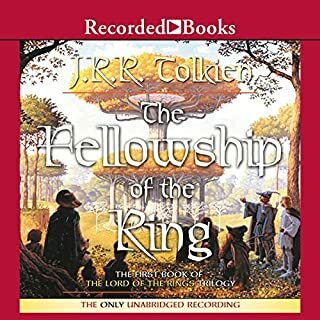 The book lives up to its reputation and the narration is superb. The story of Harry Potter and his adventures at Hogworts become more challenging and complicated every year, as he grows into adulthood and becomes more capable of handling adversity. 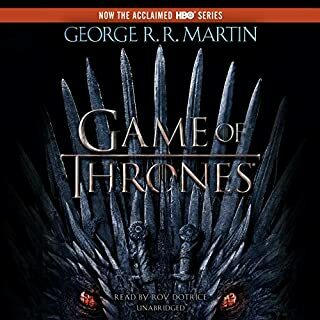 thus has been my favorite series for many years and have read and listened to all 7 books, and seen all 8 movies many times. 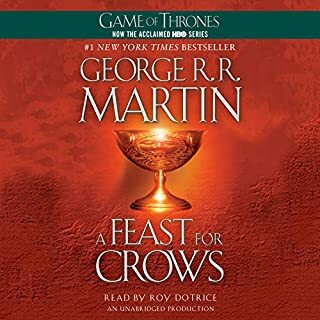 the one thing I don't like about the audio books is the way Jim Dale voices some of the characters. Not a deal breaker for me though.